More Primary Election ballots were counted Thursday and there are no changes in the latest unofficial numbers. Democrat Kevin Schmelzlen and Republican Sharon Trask will face off for Mason County Commissioner District 3. George Steele and Eric Valley are the top two candidates for Mason County District Court Judge. Write-in results for Mason County Auditor will be released next week. And two Democrats (Irene Bowling and Tim Sheldon) will face off for 35th District State Senator. In the race for Mason County Commissioner District 3, Democrat Kevin Schmelzlen remains at the top with 40.32% of the vote (1,795 votes) followed by Republican Sharon Trask with 30.93% (1,377 votes). The others in the race are Mary Jo Cady (15.27% or 680 votes) and Kathy Chaussee (13.48% or 600 votes). Schmelzlen will face Trask in the November election for the seat currently held by Terri Drexler who is retiring. The leaders in the race for Mason County District Court Judge are George Steele with 31.57% (4,020 votes) and Eric Valley with 25.73% (3,276 votes). The others in the race are John Bonin (16.74% or 2,132 votes), Stephen Greer (15.88% or 2,022 votes), and Eugene Austin (10.08% or 1,283 votes). Steele and Valley will face off in the General Election for the seat currently held by Victoria Meadows who is retiring. The Primary numbers for Mason County Sheriff show incumbent Casey Salisbury with a large lead over challenger Darin Holland. The latest result have Salisbury with 68.82% of the vote (10,332 votes) and Holland with 31.18% of the vote (4,681 votes). However, the two will face off in the General Election. The Primary results for Mason County Assessor show incumbent Melody Peterson has a 298-vote lead over challenger Patti McLean. Peterson has 7,498 votes (51.01%) and McLean has 7,200 votes (48.99%). The two will face off again in November. 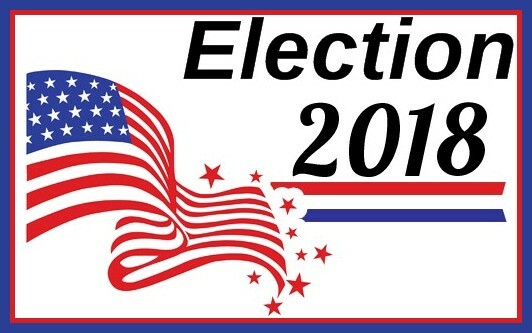 In the race for Mason County Auditor, there are three candidates. However, two of them are write-ins so the only numbers available are for Paddy McGuire who garnered 10,439 votes. Specifics numbers for the other two candidates (Charles Rhodes and Steve Van Denover) will not be known until the election is certified on August 21st. Two Democrats are leading the race for 35th Legislative District State Senator. Irene Bowling has 38.75% of the vote (12,321 votes) and incumbent Tim Sheldon has 35.01% of the vote (11,132 votes). The other three candidates in the race are Republicans: John Martin with 12.21% of the vote (3,883 votes), Marco Brown with 9.7% (3,086 votes), and George Sevier with 4.33% (1,377 votes). Bowling will face Sheldon in the General Election. In the 35th District State Representative Position 1 race, incumbent Republican Dan Griffey leads Democrat James Thomas 52.27% to 47.73%. Griffey has 16,610 votes to Thomas’ 15,170 votes. The two will face off in November. In the 35th District State Representative Position 2 race, Democratic challenger David Dagget leads incumbent Republican Drew MacEwen 51.08% to 48.92%. Daggett has 16,171 votes to MacEwen’s 15,489. Both will be on the General Election ballot. In the race for Congressional District 6 U.S. Representative, incumbent Democrat Derek Kilmer leads with 63.94% of the vote followed by Republican Douglas Dightman’s 32.33%. There are three candidates in this race. In the race for Congressional District 10 U.S. Representative, incumbent Democrat Denny Heck leads with 58.6% of the vote followed by Republican Joseph Brumbles with 31.71%. There are five candidates in this race including one write in. Out of the 29 candidates running for U.S. Senate, incumbent Democrat Maria Cantwell leads with 55.21% of the vote followed by Republican Susan Hutison who garnered 24.16%. More results will be released Friday as there are over 238,000 ballots still to be counted statewide including about 750 in Mason County, over 25,000 in Kitsap County, and 2,00 left in Thurston County. Election officials in the Mason County Auditor’s Office have processed 13,997 ballots bringing the turnout to 36.2%. The turnout statewide is 33.53%.